Situated in Krusaa, this bed & breakfast is 2.6 mi (4.1 km) from Kobbermolle Museum and 2.7 mi (4.4 km) from Grenz-Pavillon Anna Poetzsch. Torvegade and Benniksgaard Golf Course are also within 9 mi (15 km). 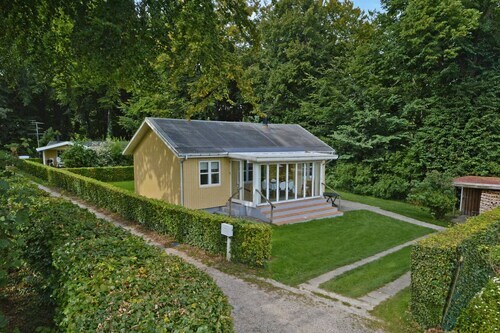 Situated in Krusaa, this golf guesthouse is 3.1 mi (4.9 km) from Grenz-Pavillon Anna Poetzsch and within 6 mi (10 km) of Benniksgaard Golf Course and Rinkenaes Church. Kobbermolle Museum and Torvegade are also within 6 mi (10 km). Situated by the sea, this hotel is 2.6 mi (4.2 km) from Grenz-Pavillon Anna Poetzsch and 2.8 mi (4.5 km) from Kobbermolle Museum. Benniksgaard Golf Course and Torvegade are also within 6 mi (10 km). 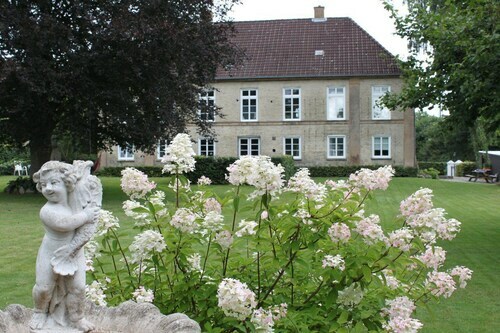 Situated on the waterfront, this historic property is within 9 mi (15 km) of Benniksgaard Golf Course, Rinkenaes Church, and Grenz-Pavillon Anna Poetzsch. Kobbermolle Museum and Egernsund Church are also within 9 mi (15 km). How Much is a Hotel Room in Krusaa? Hotels in Krusaa start at $66 per night. Prices and availability subject to change. Additional terms may apply. With 12 establishments in and around Krusa, visitors here are able to find the perfect option. Travelocity's booking portal currently features 12 hotels only a short drive from Krusa. A good option amongst just a small number of Travelocity-listed hotels near the business district of Krusa, is the Kollund Rooms. 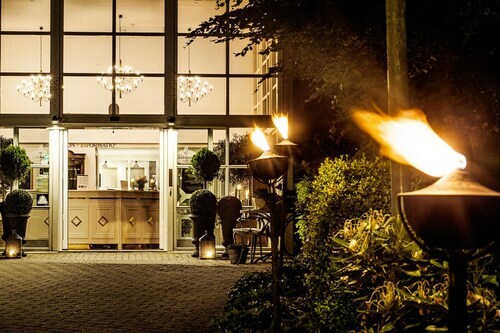 4 miles (6 kilometers) away from the heart of Krusa, you can find the Vitalhotel Alter Meierhof. The Benniksgaard Hotel can be found 4 miles (7 kilometers) away. Other places to rest your head are the Strandhotel Glücksburg and the Christies Sdr. Hostrup Kro. Romo is 40 miles (66 kilometers) to the northwest of Krusa and features Kommandorgarden and Lakolk Beach. 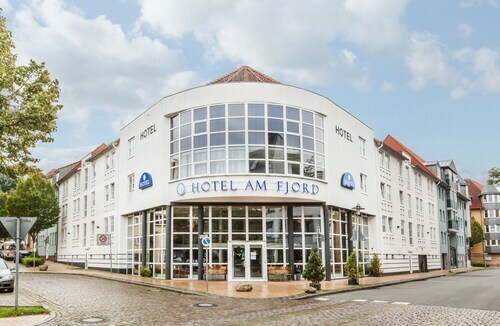 The Hotel Kommandørgården and Hotel Lakolk are just some examples of the convenient lodging alternatives in Romo. 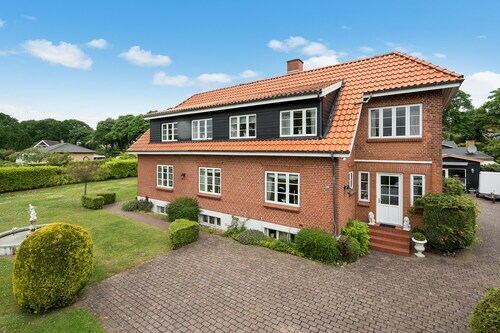 Or, you could consider staying in Tonder, 25 miles (36 kilometers) west of Krusa, where you can choose between the Hotel Tønderhus and Motel Apartments Tønder. If you visit Tonder, make your way to the Schackenborg Castle and Tonder Museum. If you like sports and really like thrilling games you should definitely spend the day at Vejle Stadium, situated 60 miles (94 kilometers) to the north of Krusa. Book a hotel near the sporting action at the Scandic Jacob Gade or the HOTEL CABINN Vejle. Sonderborg Airport is a major airport for arriving by air to Krusa. It's located 15 miles (24 kilometers) from downtown. For modern travelers who plan to find accommodation nearby, have a look at Scandic Sønderborg or Rønhave.